We boarded our neighbor’s boat on the Halifax waterfront. For those of us who live along Canada’s Atlantic coast, weather reports in the summer always tell us that it will be “cooler along the coast.” But we just think that everything is cooler along a coast! If you have yet to spend any of your travel time along Canada’s Atlantic coast, come along with us – yesterday we spent a wonderful afternoon on the water in Halifax harbor, seeing our city from that different point of view – it’s so much cooler to see things from the water! It was fabulously sunny and breezy as our wonderful neighbors picked us up at Cable Wharf on one of the floating docks beside Halifax’s Murphy’s on the Water and we were off. 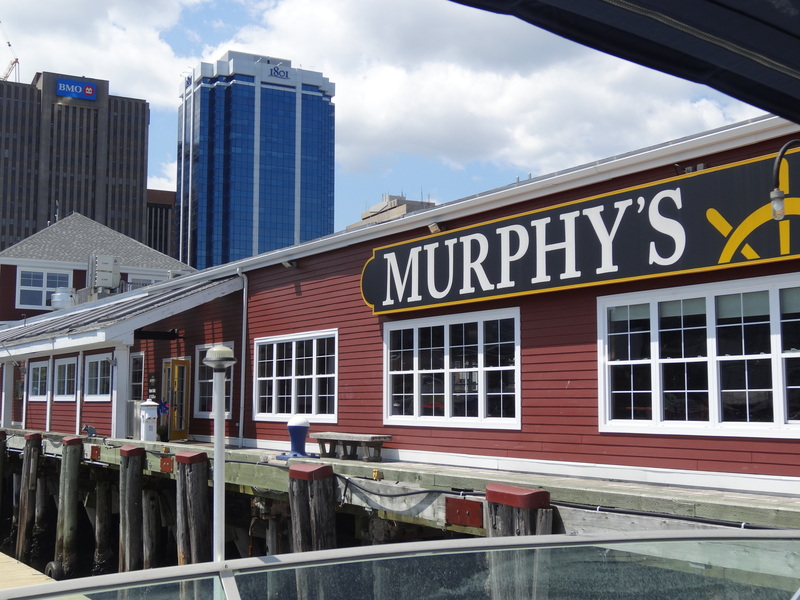 Murphy’s itself is a restaurant, event space and water tour company all wrapped up in one. 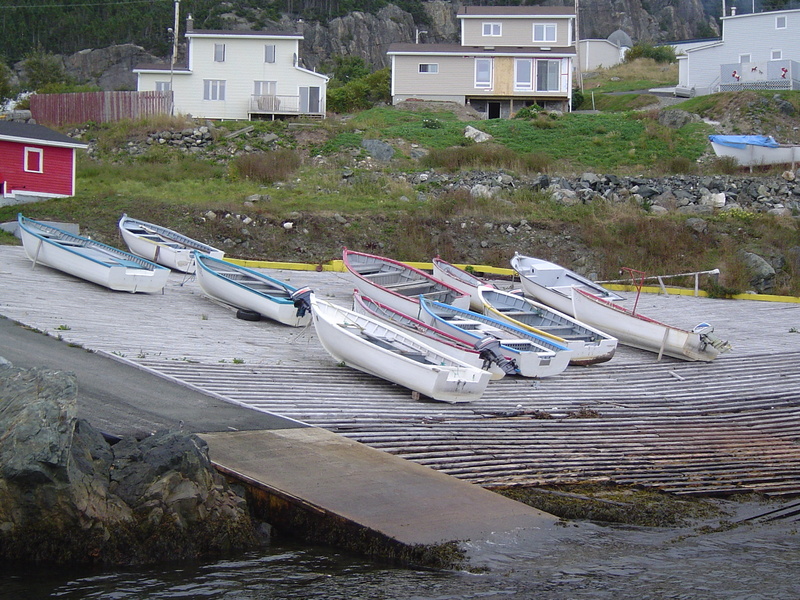 For discerning travelers who aren’t as lucky as we are to have friends with (large) boats for touring, you can book a tour at Murphy’s on any one of a variety of boats. We had the private experience – and we were off! Once onboard as we shared sandwiches and a bottle of wine, we were reminded momentarily of our perfect day on the Med a few years ago. But we didn’t have to travel to Monaco for it. 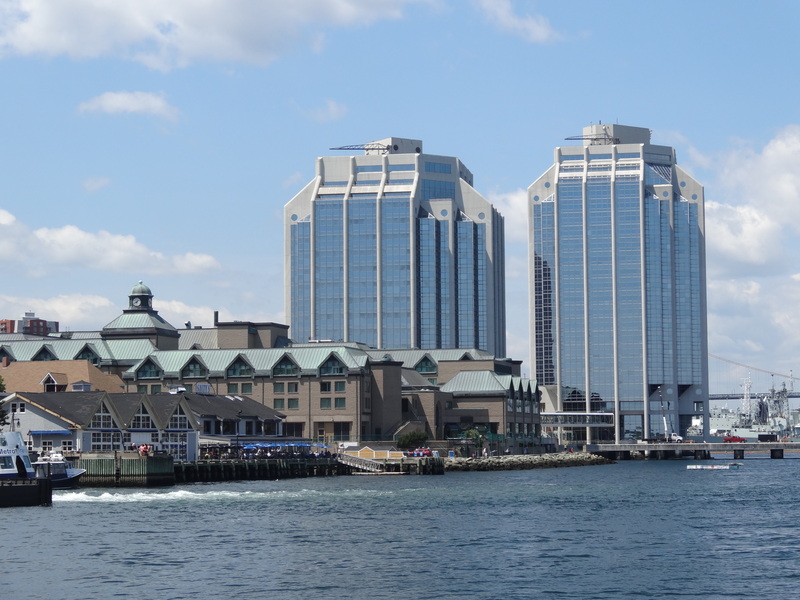 Halifax’s waterfront: Historic Properties, the Marriott Hotel and Purdy’s Wharf office towers beyond. If you’ve traveled widely and have had the good fortune to see other harbors around the world, Halifax might seem diminutive by comparison to, say, Sydney, Australia (click here to see our entry into Sydney Harbor by cruise ship last winter), but there is something about the very compactness of the city and the elegance of the two suspension bridge spans that join the two sides of the city. The air is clear and clean, and the other water traffic varied and interesting. 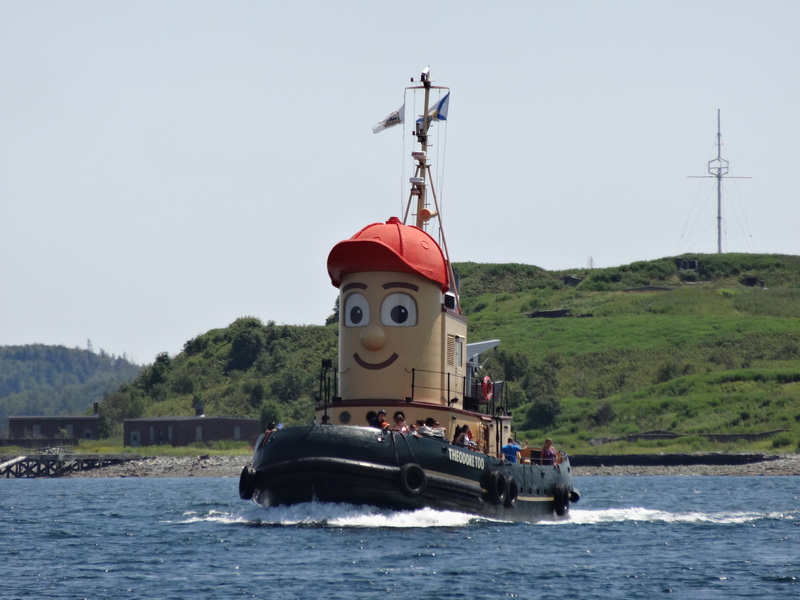 You can even tour the harbor on Theodore Too. Then, of course there are the varied tour boats. The first one we see is a large sailing vessel, followed by the inevitable amphibious vehicle that tours locals and tourists alike not only on the harbor water, but also on the city streets. In Halifax it’s the Harbour Hippo. Just past the waterfront Historic Properties , the Marriott Hotel and the casino, we motored past numerous naval vessels (Halifax is home to Canada’s Atlantic fleet) and pleasure craft of various kinds and sizes. 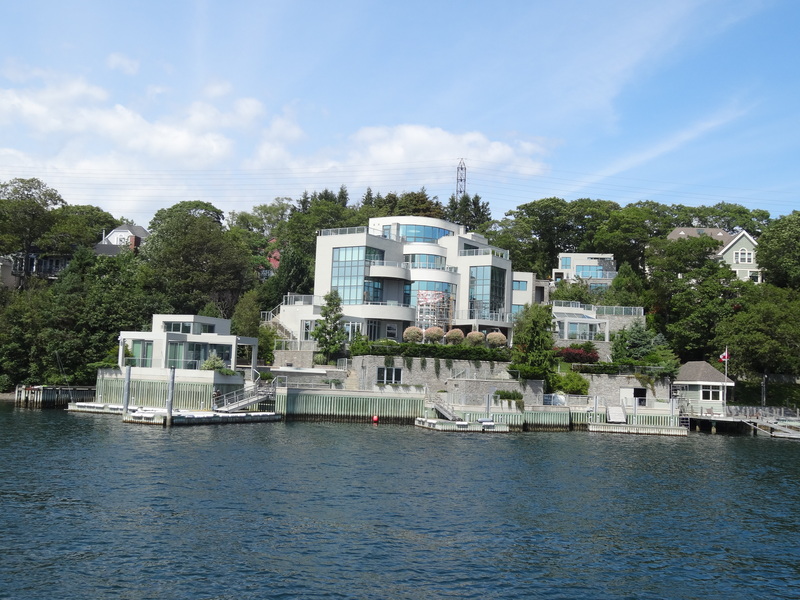 We motored under both bridges and around what’s called Bedford Basin then back past the downtown and around into what is known as the Northwest Arm. 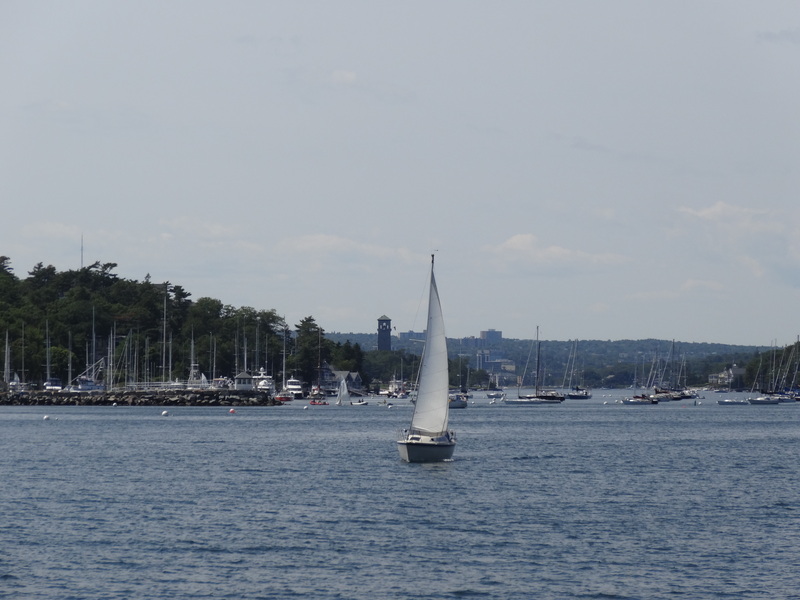 The main downtown portion of the city is on a peninsula that runs between the harbor and the Arm which is home to waterfront mansions and the Yacht clubs where dozens of tiny sail boats scurried across in front of us – ten-year-olds at the helms as they learned the fine points of sailing. 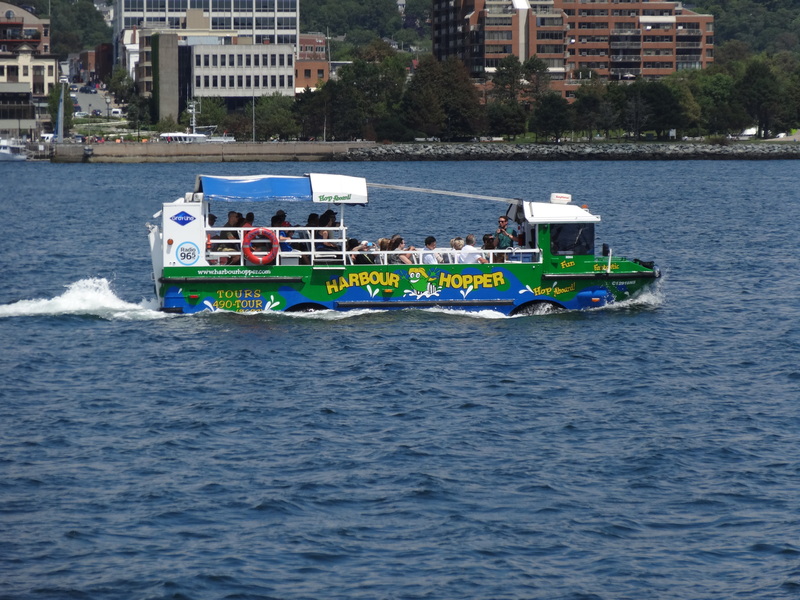 The Harbour Hopper: need we say more? 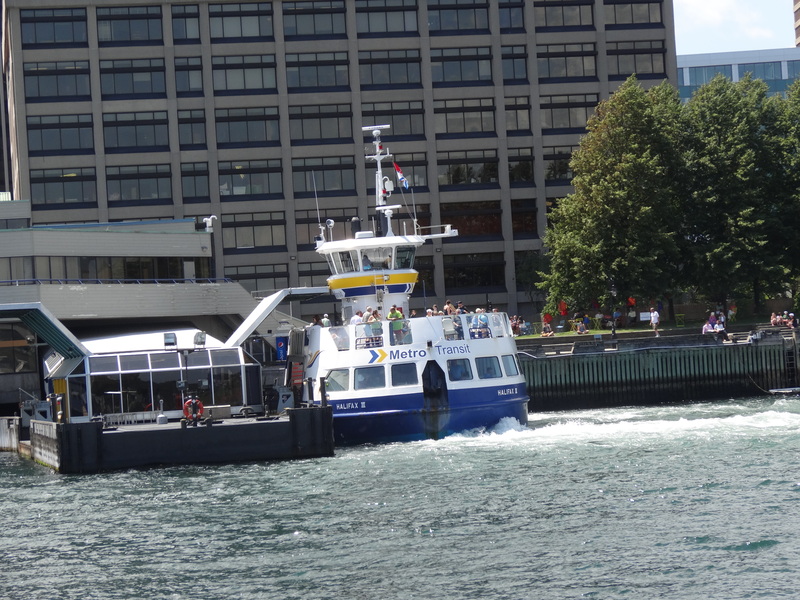 The best bargain way to see the city from the water is to hop on the Halifax-Dartmouth ferry for a return trip. 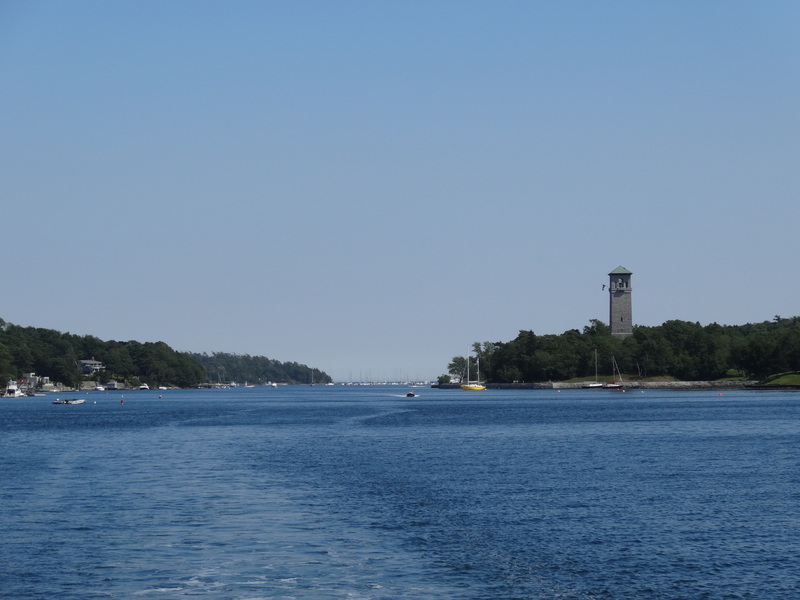 The “Dingle Tower” & looking back out to sea from the Northwest Arm. The deserted beach ringing the tiny Caribbean island of Barbuda just coming into view as we approach from Antigua via fast ferry. What is it about beaches? When we want to conjure relaxing thoughts, we often find our minds wandering to the sounds of the waves rolling in and out, the wind, the seagulls. There’s just something about them, and this world is full of extraordinary swaths of sand that beckon travelers. Our recent return from the South Pacific and Australia with the plethora of beaches inspired us to pause and consider beaches we’ve walked – because, make no mistake about it , we prefer to walk a beach rather than lie on one – and beaches we’ll walk in the future. Our most recent beach experience was Manly Beach in Sydney, Australia, the subject of our most recent video. An urban beach, it really does go for miles and the boardwalk is a magnificent way to see it in its entirety. And Manly did remind us a bit of Waikiki, which for all it has to recommend it, is not one of our very favorites. So, we started to think, what were our favorite beaches? A few years back we spent some time at the St. James’s Club, a wonderful resort in Antigua. With its crescent-shaped beach within a lagoon, it offered many of the beach-side amenities everyone craves. However, it wasn’t especially long, had little wave action and was bordered by the resort. That trip, however, did take us to a beach that holds some our best beach memories. 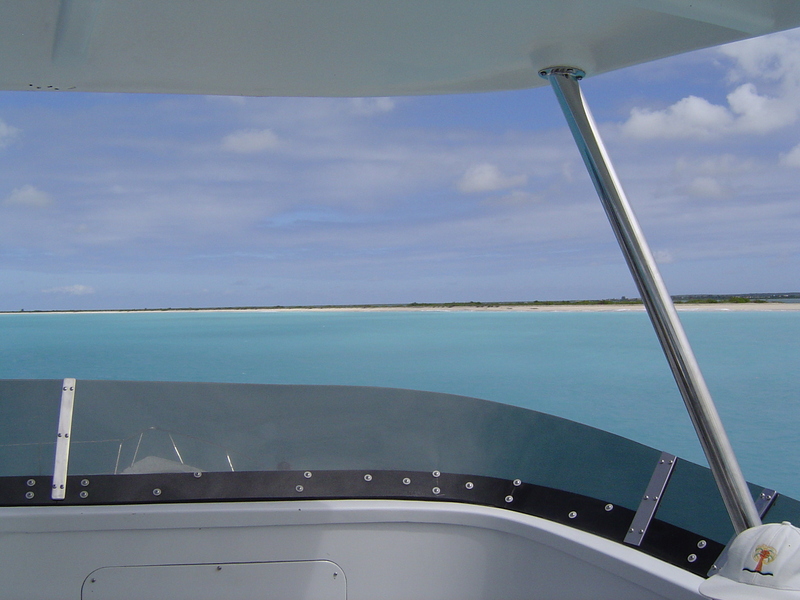 We decided to take a trip to Barbuda. We embarked the fast ferry, known to us now as “the vomit comet” (we were thankfully among the few who did not…well, you know) that beached itself along the deserted shores of the tiny island of Barbuda. Although there are a couple of small, low-rise hotels along the beach, for the most part it was completely deserted. We walked for kilometers in the sun listening to the sea roll in and out. It was heaven. Even now, years later, as we think about that day at the beach, we relax and breathe deeply. Another of our favorites is the beach along the Condado in San Juan, Puerto Rico. Stretching for several kilometers along the high-end neighborhood of the Condado, it is long, wide and sparsely populated – or at least it has been on the several occasions we visited San Juan. Despite the hotels along this beach being a drive from Old San Juan, their proximity to this beach (just walk out the back door) makes them our choice when visiting Puerto Rico. Two other beaches that are among our favorites are on that list for a different reason. Rather than a day-long beach walk, they both offer interesting perspectives. The beach at the Crane Resort on Barbados is often listed among the best in the world. 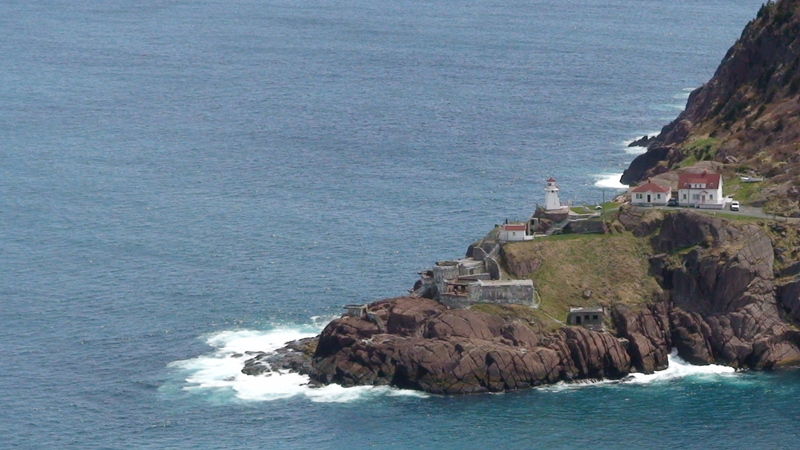 Well, that is clearly a subjective assessment, but it is beautiful and its location on the wild Atlantic side of the island does make its roaring waves mesmerizing. Add onto this the fact that you reach it via either a steep staircase or the elevator (!) and you can get a sense of the kind of beach it is. 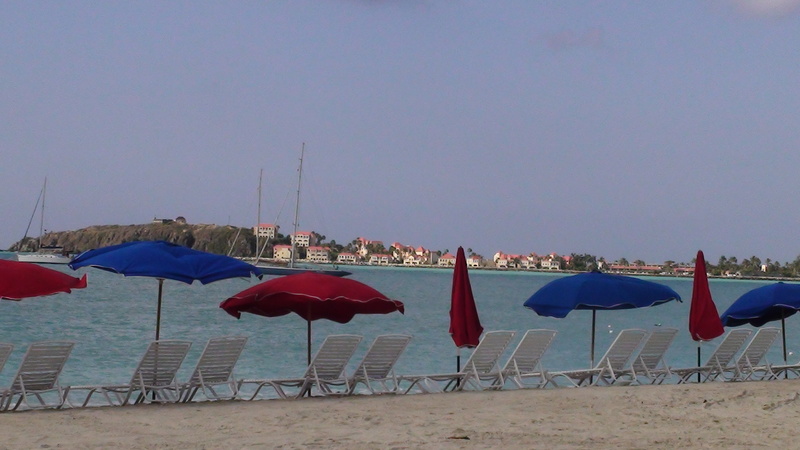 The other interesting one that brings a smile to our faces is the beach in downtown Phillipsburg, St. Martin. The locals have built a magnificent boardwalk that divides the beach from a string of shops and restaurants. Many of the restaurants offer beach chairs and buckets of beer for a lazy day taking in the activities in the harbor. The sand is soft and the sun is hot. Speaking of sand, our final two memorable beaches are memorable both for their locations and for their sand – we use that word loosely! In the south of France, the grains of sand on the beaches cannot really be described as grains at all. They are pebbles. 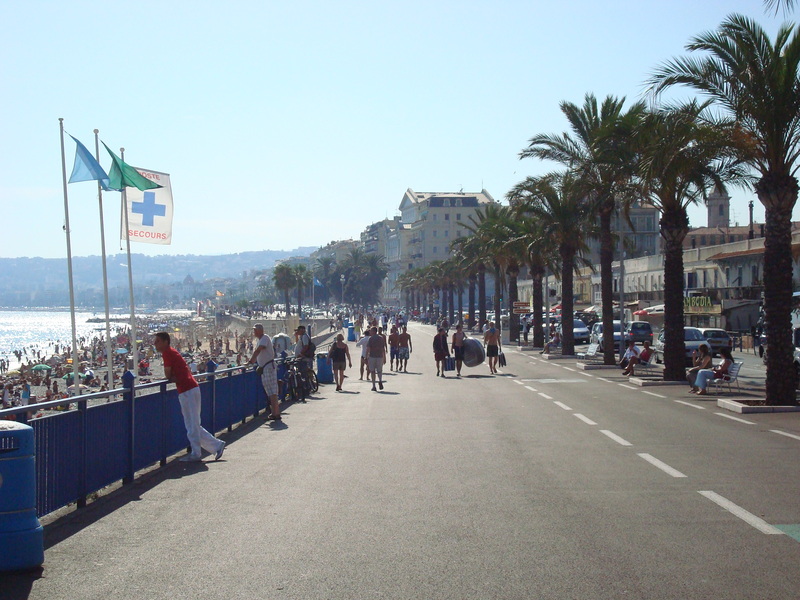 The beachfront in Nice is wonderful for a variety of reasons. It is bordered by a several-kilometers-long walkway where people stroll, cycle and roller-skate, as well as some of the most interesting beach-front restaurants where you can sit on a lounger and sip champagne to while away the day. Have a few minutes, come along to Manly Beach with us. We haven’t traveled to Art’s original home in St. John’s, Newfoundland & Labrador, for a few years, which we wrote about in a previous blog post, but every so often the nostalgic memories of food from a different life and time overtake us, and we pull out the old fish and brewis recipe to embark on what we lovingly and respectfully call “Newfie Night” for a few dear friends. But cooking fish and brewis for entertaining can be a challenge – have you ever smelled salt cod when it’s boiling away on the stove? It is truly revolting. So, we had to find a way to (a) reduce the cooking smell, and (b) involve the guests in the preparation of the meal. Traditional Newfoundland fish and brewis represents a culinary tradition that is based more on practicality than intention – but the practical obstacles to acquisition of ingredients seems to have sparked incredible creativity on the part of cooks all over ‘the Rock’ throughout its history. For many years, the availability of fresh ingredients throughout the long, cold winters resulted in a plethora of salted cod and items like hard bread which were both practically indestructible – and no refrigeration needed. So, cooks prepared a dish that used this hard bread and boiled salt cod with a dressing of pure pork fat and scrunchions – which are without any doubt the tastiest part of any dish to which they are added. Scrunchions, for those of you who have not had the pleasure, are small pieces of pure pork fat fried to a delightful crispiness. The taste is unadulterated joy – but be sure to have your cholesterol checked! During our last Newfie Night for friends, we decided to document the method we use. It’s a tweaked version of authentic fish and brewis. Tweaks include using boned salt cod (to avoid having to remove bones and the possibility of missing one), adding oregano for flavor, and frying it up in the fat rather than pouring it over to improve both the color (visual presentation) and the texture (a bit of crispiness).